All Lake Worth homes currently listed for sale in Lake Worth as of 04/23/2019 are shown below. You can change the search criteria at any time by pressing the 'Change Search' button below. "Agent is Owner. Over $25k in upgrades! Gorgeous custom home in pristine condition on almost .33 acre! This home boasts two large, split-living areas and a stunning study with amazing built-ins and French doors. Features beautiful wood flooring, casement windows, and a split bedroom layout. The Guest bedroom is large enough to be a second Master Retreat. The neighborhood has a city-maintained park and NO HOA DUES! It was fully renovated in 2016, new paint throughout, new granite counte"
"This gorgeous home is a must see in highly desired Lakeworth! It is a one owner that show to have barely been lived in.Great curb appeal starting with the meticulously maintained yard . Home boasts 4 generous bedrooms, the first room off from the entry can be used as an office or bonus room. Beautiful kitchen with an island. Granite cabinets in the kitchen and stainless dishwasher and cooktop. Nice backyard with covered patio. Neighborhood park within walking distance, minutes from shopping, res"
"Located in the lovely Boat Club Estates, this newly updated home is complete with a large kitchen island, wood cabinets and exotic granite countertops and glass tile backsplash with new stainless appliances. 2.5 bath with double vanities with granite backsplash and new tiled shower. 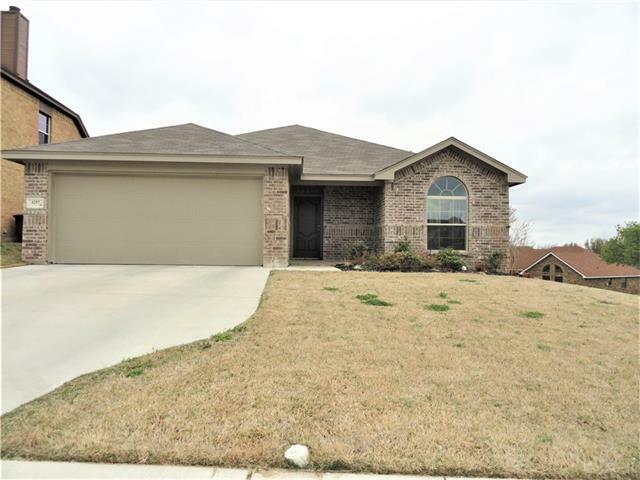 4 bedrooms, 2.5 baths and 2 living areas a study, game room and dining room with a large laundry room. New vinyl laminate throughout downstairs, bathrooms and laundry area. All new windows throughout the entire home "
"NEW CONSTRUCTION by Wyatt James Builders complete in late April! PICTURES COMING SOON! Fantastic open plan with 3BR and study Beautiful custom modern finishes throughout. Gourmet island kitchen has custom site finished painted cabinets, granite, Blanco granite composite farm sink, SS cooktop package and plumber for gas! Modern plumbing. lighting, hardware! Beautiful master retreat has full tile drop slab shower, two sinks, large walk in closet. Both bathrooms have granite, framed mirrors. 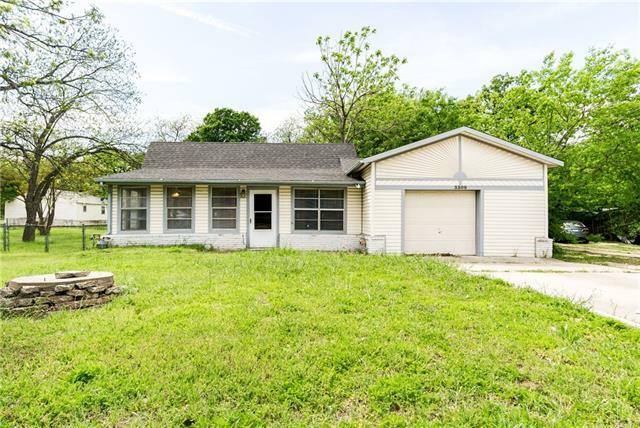 Upgrad"
"Very cute and clean 3 bedroom, 2 bath home on corner lot in a convenient location with easy access to 820, downtown Fort Worth and Alliance area. Home was built in 2017 by Cheldan homes and looks and feels brand new. Features wood floors throughout living area. Master has separate shower and garden tub. Yard has full sprinkler system and stone retaining walls. Property line extends beyond new fence." "Lovely Lake Worth! Beautiful Indian Oaks area close to Lake Worth lake! Just a couple of blocks from the closest boat ramp. 460 square foot workshop with electric and water. Awesome hardwood floors plus cozy wood burning fireplace in this large living area. Big kitchen with breakfast bar and separate breakfast area. Gas stove, heat, and water heater. One car oversized garage with lots of room for storage. Great office space for a home based business. 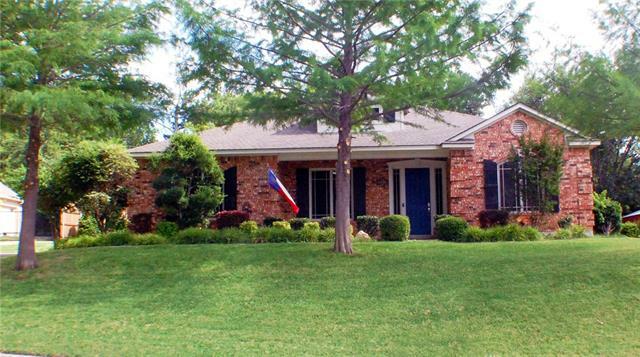 Big shade trees in partially fenced backyard"
"You will love the large trees on this property! 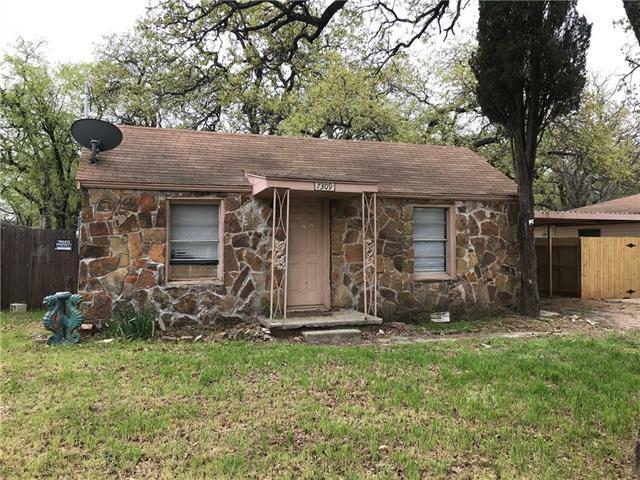 The home is in need of significant repair, but is located in a well established neighborhood near the lake and easily accessed by Lake Worth Blvd and 820. 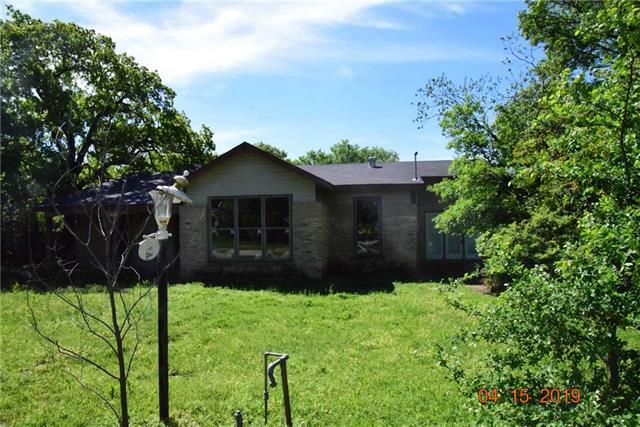 Lots of potential with this fixer-upper!"